Patonga is one of the few towns on the Central Coast that retains its ‘sleepy seaside atmosphere’ (a 1.5-hour drive from Sydney). With only a few main shops in town set amongst peaceful scenic surrounds – this is nature and a seaside village at its best! 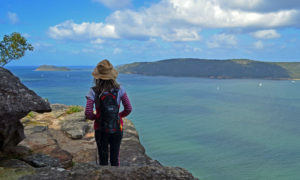 If you’re looking for some outdoor fun, there are numerous … Continue reading Peaceful Patonga – Outdoor Fun!